A dilemma that often arises amongst entrepreneurs, inventors, and the intellectual property field in general is whether one should seek out a patent agent or a patent attorney. Typically the difference in selection comes down to money, and getting what you pay for. 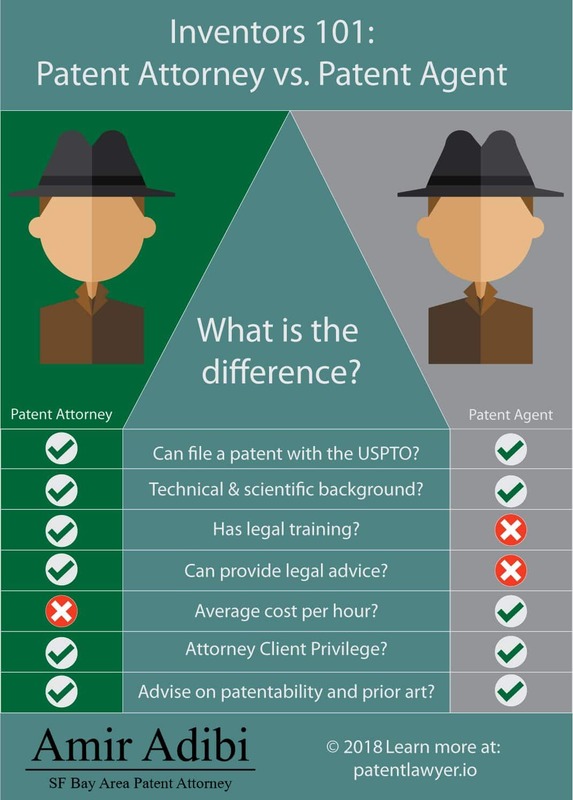 In one sentence: The difference between patent attorneys and patent agents is that patent attorneys (who are also patent agents) are licensed lawyers and can practice in court and give advice in all business related legal matters, while patent agents have only passed the Patent Bar Exam and are registered to practice by the USPTO. Both must have a technical degree: BS, MS, or PHD in a technical field. I am a lawyer (have a Juris Doctorate (JD) degree, passed the Bar Exam, and am in good standing with the bar) and am also a patent agent. Meaning I have a Bachelor of Sciences (BS) degree and have passed the USPTO patent bar exam. Being a patent agent only requires technical training and passing of the patent bar exam. Can file a patent with the USPTO? Yes, all patent attorneys who have passed the Patent Bar exam can file your invention with the USPTO Yes, all patent agents, by definition have passed the patent bar exam and are authorized to file your invention with the USPTO. Have a technical & scientific background? Yes, while being a attorney does not mean that you need to have technical training. In order to apply for the patent bar exam you need some kind of a scientific technical background like: BS, MS, or PHD. Yes, anyone with a BS, MS, or PHD from in a technical field from an accredited university may take the patent bar exam. Advise on patentability and prior art? Patent attorney’s benefit from the training necessary to pass the Patent Bar exam and should be able to answer any questions you may have about the patentability of your invention. Their legal training should also give them a wider perspective into the legal ramifications of your particular invention or the potential for litigation should an infringement case occur. By passing the Patent Bar Exam patent agents should have the knowledge necessary to help you understand what is and isn’t patentable. That said most patent agents handle fewer cases than patent attorneys so they may have less perspective and especially legal context than a qualified IP attorney. 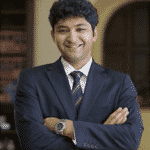 Bound to uphold Attorney-Client Privilege? All attorneys are bound to uphold attorney/client privilege in all matters where they are serving in a professional capacity. This attorney-client privilege preserves the confidentiality of communications between lawyers and clients. This professional standard means attorneys may not divulge their clients’ secrets, nor can they be compelled to do so most notably in court. Patent agent are bound to uphold client/attorney privilege in patent matters. But importantly they are not protected in other legal matters. Have legal training? All patent attorneys, or “patent attorneys” have legal training, a Juris Doctorate, and have passed the bar exam for their respective state Bar. No, patent agents only have a technical degree. While they can file patents, they are not able to provide legal advice. Their lack of legal training may also leave you exposed should an infringement issue or suit arise. Can provide legal advice? Patent attorneys are fully equipped to give you legal advice. They have the legal training necessary and understanding of patent Patent agents are expressly prohibited from giving legal advice. You wouldn’t trust your Uncle Billy Bob with legal advice, don’t trust agents in non-patent matters. Average cost per hour? $$$, prices will vary, but since most patent attorney’s have legal training, they typically charge more. (their billable hour tend to be worth more) $$, the major advantage of patent agents is that they are cheaper since they do not have the legal training of patent attorneys and the associated higher billable hours. Help with a business trademark? While anyone can file a trademark the majority of people are represented by attorneys. Trademark attorneys can conduct more thorough searches for issues with your proposed mark than can be done with a simple TESS search. Patent attorneys also benefit from a broader training in law, a specialization in intellectual property law, and the ability to advise you on the likelihood of success and weather or not to file. Technically anyone can file a trademark. Again this one comes down to experience, but patent agents cannot provide any legal advice. Understandably, many often wonder whether there is even a substantial difference between the two, but knowing the strengths and weaknesses of each and how to effectively utilize them can save you a crucial amount of time, money, and emotional exhaustion in both the long and short term. As rewarding as it is, the process of filing a patent is already a time and money consuming endeavor, so our goal here is to save you both. Let’s start with the basics. How quickly will this go to market? Depending on how soon you want your idea to get to market, you may not necessarily need to pursue a patent. The patent process can take up to four years depending on the scale of the idea, and in many cases, timing is key. If this is your scenario and you need your idea to hit market fast, you may want to start by just getting it licensed with a provisional patent application. Your idea will still be protected and you can also save time and money getting it to market while you pursue a patent in the long term. Everyone is excited to file and start talking to investors, but you should make sure you have everything in order before continuing. On the other hand, larger scale ideas are going to require more capital and patience to protect and in these scenarios, you’re going to want to go with the pros. Both patent agents and patent attorneys are licensed and authorized to deal with any and all matters concerning the writing and filing of a patent with the United States Patent and Trademark Office (USPTO); so in most routine cases, it doesn’t make a significant difference whether you hire an attorney or an agent. However, it certainly becomes important if and when you require any legal advice, counsel, or representation regarding your patent. Only patent attorneys have this authorization. Patent agents are not able to practice or advise on law (i.e. non-disclosure agreements, infringement, trademarks, etc.). Whatever you might imagine, there isn’t some massive rivalry between patent agents and patent attorneys. In fact every patent attorney is a patent agent, there are just specific limitations on what a patent agent can really do for you. Patent agents tend to have greater knowledge and more of a background in technical subjects such as the sciences and engineering, and are more familiar with ideas and inventions related to these fields. Many law firms and legal departments will often employ patent agents for their extensive knowledge in these areas. Patent agents are only allowed to practice “patent law” through or with the USPTO, but they are NOT lawyers and cannot provide legal counsel, especially if it relates to licenses or infringements on patents that are already licensed, nor can they represent you in court. Patent Agents are usually more affordable and often charge approximately 20-40% less than Attorneys for their services depending on experience and background. Patent agents have all of the same qualifications as a patent agent, plus everything below. Patent Attorneys have law backgrounds and degrees and must pass both the state bar and the Patent Bar exams, at which point they are registered with the USPTO and are authorized to write, file, and execute patent applications and perform patent searches. They are also able to advise individuals regarding contracts. Patent attorneys are the only ones authorized to draft contracts, documents, and agreements, (such as non-disclosures etc.) and provide legal opinions and advice. Only attorneys licensed in a particular state can represent you in court. If your case get’s serious, you may end up needing a patent attorney anyways, and keeping everything under one roof might make the most sense. Is one a better option than the other? Not necessarily- you won’t always want to go with an agent and you won’t always want to go with an attorney either. In most cases, it takes a number of years for patent agents to reach an ideal level of proficiency. And while agents with less experience might save you money in the short term, a poorly written patent application might still need to be rewritten and fixed by an attorney later on. The only drawback for agents is the fact that they cannot provide advice concerning general law practice; as such, they are unable to help you develop a working strategy regarding the nuances of intellectual property. So how do you choose what’s best for you? Your Needs: What is it that you need from a practitioner? Do you see yourself needing legal counsel or representation? Or do you just need a patent application written and filed? Will you immediately require both? Qualifications: Is the practitioner registered with the USPTO? (https://oedci.uspto.gov/OEDCI/) Where were they trained? Are they or any groups they are a part of certified? Background & Experience: What subjects or fields do they have a background in? Is their specialty in an area that relates to your idea or invention? How long has the agent or attorney been practicing? Portfolio & Referrals: Can they provide a list of patents or applications they have previously written? Are there any reviews or referrals available of the practitioner or their company/ group online? Price: As mentioned before, attorneys tend to charge more for their services than agents, but depending on your needs and their experience, it can be worth it. Be sure to compare quotes and explore as different attorneys and agents can sometimes have different pricing models depending on their focus. When considering attorneys, be sure to look at the breadth and variety of their work and experience. Do not consider attorneys whose only experience is with patent law as it is better to work with those who have experience in a range of law subjects. Those with experience in prosecuting patent infringement cases, litigating intellectual property concerns, and drafting trademark paperwork are strong candidates. Most importantly, regardless of who you decide to work with, make sure it is someone that understands what you want to accomplish from the beginning and who is willing to help you understand what you need to do in order to get there. The size and scope of your idea is going to affect the amount of time and money you will need to put into the endeavor. At the end of the day, both patent agents and attorneys are valuable tools that can help you protect and maximize your ideas and inventions. And like any other tool, the most important factor in their relative value is how and when they are applied. They each have their own strengths and often work together to produce patents and applications, with agents doing the initial drafts and attorneys refining and polishing it afterwards. You might be in a situation where you will need both at some point or you may only end up needing to work with an agent. Either way, one of the most important questions you will have to answer when the time comes is: Does this practitioner have the appropriate disposition for what I want? Will they be able to work with both you and the patent examiner reviewing your application to effectively address your concerns and the examiners objections? Your ideas and inventions are like your offspring; you nurture and care for them and hope to raise them well enough so that one day they can go out and make their own way in the world. Patent agents and attorneys can help prepare them for this and ensure that they are protected in many ways, but you should still be careful, thorough, and well informed in how you go about selecting the right practitioner/s to supervise them. Finally clear answer, thanks Amir. This is almost dissertation quality, good stuff here Amir! I didn’t realize patent agents had so much power, thought it was just a cert. Αhaa, nice info. So when can we get started? There is nothing wrong with a good patent agent, but yeah…usually a proper patent attorney is worth the money. Always with the sharp explanations Amir. Still amazes me that patent agents have so much power. +1 to knowledge on patents. Very precise and organized info, Thanks Amir! Quick question; do you think pharmaceutical experience and a MS will be considered equivalent to a PhD; for the Patent Agent position? You can certainly become a licensed patent agent with a masters degree in science. There have also been cases of people qualifying in stem fields with a BA (BA in Chemistry) if their colleges don’t offer BS degrees. Depending on your work experience and nature of your masters degree, you very well may be competitive with other patent agents that have PhD degrees. If you are trying to compete with patent agents that have PhD degrees, I would emphasize your professional experience and the rigor of your coursework. Strong writing skills and technical aptitude will also distinguish you. Remember that there are many patent agents who do not have PhD degrees, yet still command highly desired pharmaceutical-related patent agent positions at respected organizations. Please let me know if you have any more questions or if you think I can help you. Thanks for the detailed info Amir ! I really appreciate it.